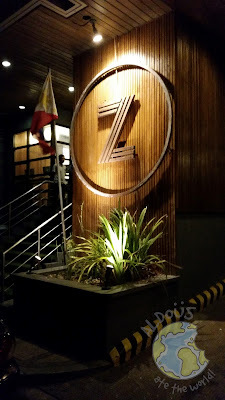 I have heard so much about Z Hostel, the first luxury hostel in the country that I decided to have a staycation there. If you are bringing a car then it is wise to park near the hostel since there are guys there to assist you with the parking. If you are staying overnight, it would not be a good idea to park at Kalayaan Avenue as your vehicle might get towed. 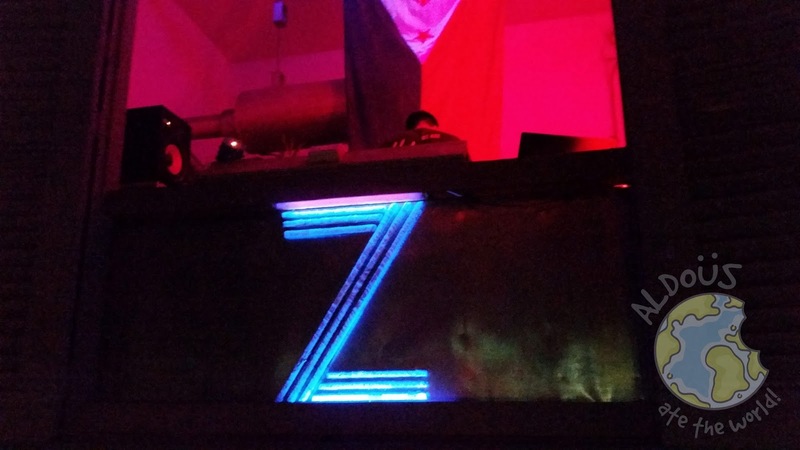 Every night, the rooftop bar of Z Hostel turns into a party place with DJs playing live music. 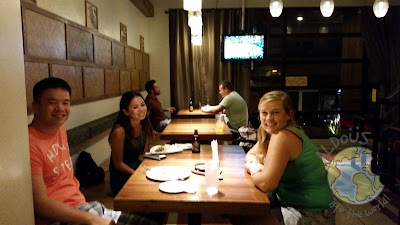 It would be great to come here and meet new people from all over the world as it is a new hang out place for locals. The beer and cocktails are also cheap and it does not hurt to have a nice view of the city. Before checking in, I looked around the lobby. 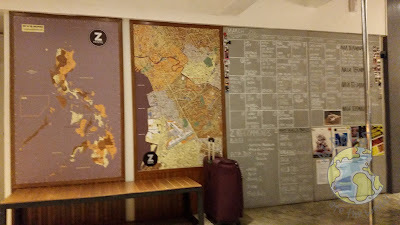 There was a calendar of events for the rooftop bar, a map of the Philippines and a guide to the most basic Tagalog expressions for the guests to learn. There was even a pole for those who like to do pole dancing. 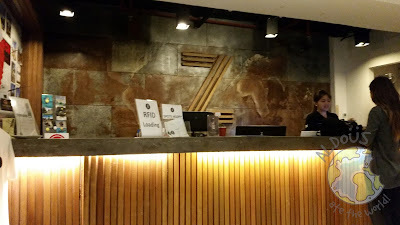 I checked in with the receptionist Pau and I also met the front desk manager Carissa. Everyone who works at Z Hostel are so friendly that you will think you are staying at a hotel. I got assigned in an air conditioned 8 bed dorm and the beds were very comfortable to sleep in. The rates are all in their website zhostel.com and you can also book an overnight stay there. 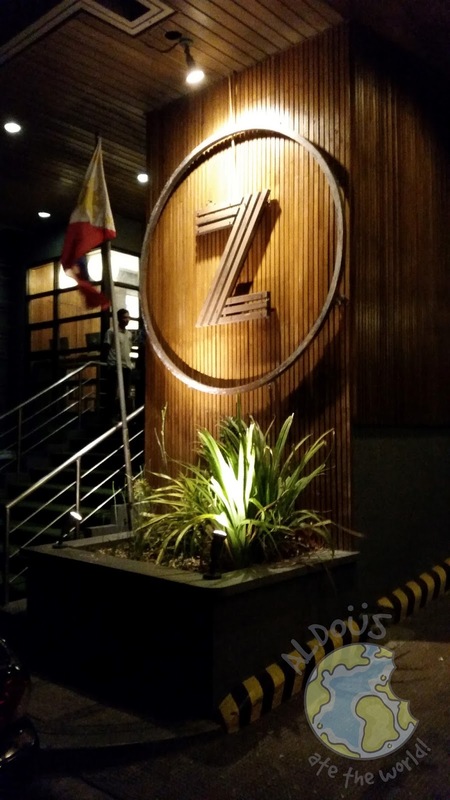 It is cashless transaction at Z Hostel so they will give you an RFID that you can load to spend on the rooftop bar and Z Cafe. I ate at the 24 hour cafe and met some of the guests including an Indonesia who everyone thinks is Filipina and a German who is so chatty. It is certainly a great feeling to meet fellow travelers so they can share their experiences too about their travels. 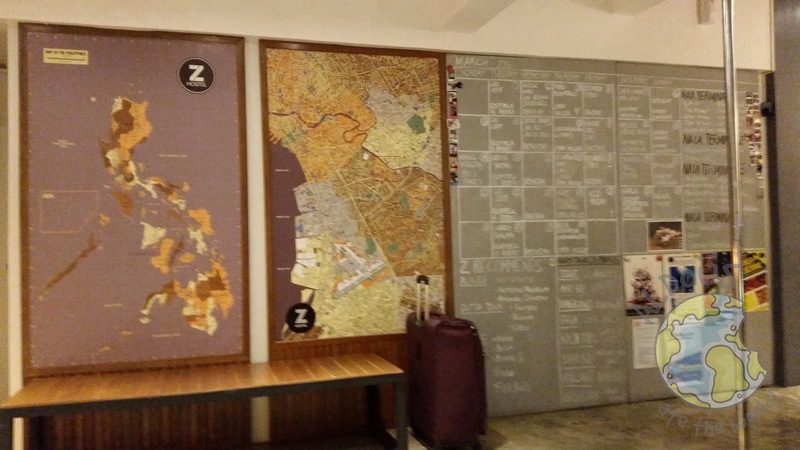 This is a great place for backpackers to stay in.